AT&T Galaxy Note I717 can now be updated to Android 4.2.2 Jelly Bean using CM10.1 ROM custom firmware. 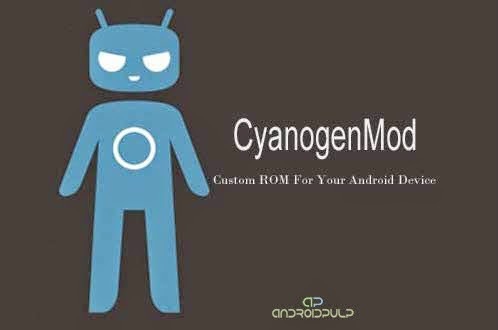 ROM released by CyanogenMod Team recognized as one of the most featured rich and customized ROM and this nightly release isn't a different. Android 4.2.2 Jelly Bean do comes with many big features over previous version, hence it's always a good idea to update your device to latest Android build when available. Apart from Android 4.2.2 Jelly Bean features, CM10.1 ROM comes with various own features including Theme Engine, Phone Dialer, Customized Power option, Easy screenshot taker and many more useful features. You can read through this article to learn how to update AT&T Galaxy Note I717 To Android 4.2.2 Jelly Bean using CM10.1 Nightly. Please note, this nightly build is still under development and hence, you should expect some minor bugs in it. All bugs and issues expected to be fixed as development progress towards a stable build. This tutorial is only for AT&T Galaxy Note I717. Don’t try this guide on any other Android device. Also, we (Android Pulp Team) are not responsible for any damage caused due to the instruction given in this page. Try this at your own risk. However, it is very unlikely that your device will be damaged if you follow all the instructions as it is which are mentioned in procedure. 1. ROM flashing require you to wipe your internal memory data, hence you required to backup your device data. You can follow our ultimate backup guide. 2. Make sure your device have at least 60% battery power. If your phone shut down during installation then there is good chance to brick your device.You can install an app like Battery Notifier BT Free on your Android device to check it easily. 4. Make sure USB Debugging is enabled otherwise it's won't be possible to transfer file between PC and AT&T Galaxy Note I717. [Guide]. If you done everything that we mentioned above then you are ready to follow step-by-step guide on how to install Android 4.2.2 Jelly Bean based CM10.1 ROM (Nightly) on AT&T Galaxy Note I717. Disconnect USB and then turn off your AT&T Galaxy Note I717. Now, boot into recovery mode. To do so, press and hold Volume Up, Volume Down and Power button together until Samsung logo flash twice and then leave the button. You should see recovery menu soon. In recovery use Volume Keys to navigate between option and Power button to select an option. Alternatively try this: Recovery Mode without Key Combination. Select install zip from sdcard, then select choose zip from sdcard. Now, locate the CM10.1 Zip file that you copied earlier in Step 1 and select it by pressing Power button. Confirm installation by selecting Yes – Install _____.zip on the next screen. The ROM installation will begin. Once the ROM installation process end, repeat the step 6 but choose the gapps-jb-20130812-signed.zip file instead of ROM zip to install the Google apps package. When installation is completed, go back to the main recovery menu and select reboot system now to reboot your AT&T Galaxy Note I717 and boot up into Android 4.2.2 Jelly Bean ROM CM10.1. Now, boot into recovery mode. To do so, press and hold Volume Up, Volume Down and Power button together until Samsung logo flash twice and then leave the button. You should see recovery menu soon. Alternatively try this: Recovery Mode without Key Combination. Now its time to add zip file for flashing. Tap on Install, then browse to the location where you saved the files and tap on the CM10.1 Zip file. Then tap on Add More Zips, and add gapps-jb-20130812-signed.zip. Now at the bottom of the screen, do a swipe on the Swipe to confirm flash option to begin flashing. When installation is completed, go back to the main recovery menu and tap on Reboot and then, tap on System to reboot your AT&T Galaxy Note I717 and boot up into Android 4.2.2 Jelly Bean ROM CM10.1. Use all our tutorial at your own risk. We are not responsible if it damage your device. AndroidPulp.Com is not affiliated with Google or any of the device manufacturers listed on this site. We are an Android Enthusiast site.